They say to “write what you know.” I must say that I found this to be true when I sat down to write my novel. I didn’t live the lives of any of my characters, but their thoughts and experiences were somehow known to me. When either what happened to them or by them happened to someone I know or to me, the writing was the easiest. And thank the Lord for the Internet. When I didn’t know enough about something, with a few clicks of my mouse, the information was at my beck and call. You know, if I think about it too hard, how does “write what you know” work for science fiction writers? I guess I shouldn’t think too hard. Woven into my story are things I love, found amusing, or even horrifying. I now listen to people in a different way than before. If a turn-of-phrase is well done, I steal . . . er, borrow it. People’s stories resonate with me differently as well. As I listen, I wonder if it would work in a book. For example, I heard from a friend that Chinese immigrants brought over to work on the Transcontinental Railroad were also used to clear poison oak from fields. Can you imagine! They must have been miserable and covered in a blistering rash. While not enough for a novel, it would add an interesting element to a story about the taming of the West. One of the nicest things that came out of writing a book was learning how to listen to the world with a writer’s hat on. I read with a different outlook as well. When the author’s words sing to me, I am envious of their talent and study the words to figure out how they strung them together so beautifully. When the writing falls flat, I initially get annoyed, and then wonder how it could be better. Of course, not all good writing is based on real experiences. A writer needs a vivid imagination and time to stare into space with a blank look on their face. It is amazing how many good ideas came to me when I looked like someone spaced out on drugs. Let it Flow . . . 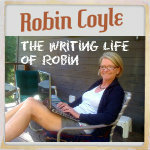 The process of writing a book is like living with a temperamental teenager. When you sit down at the table with them, you never know what you are going to get. You might encounter joyful exuberance where the words flow non-stop, or you may be faced with sullen silence. Just like with a rotten teenager, I found that the more quality time I spent with my writing, the less it glared at me refusing to budge. The look said I was an idiot for thinking I was a writer. I’m probably not the first, but I call it my “Writer’s Zone.” The more time I spend in the “Zone,” the easier it is to slip back into it when sitting down at the computer. Writing momentum builds gradually and then when it is at its peak, sustains itself even when not hunched over the keyboard. It is the strangest feeling. I’d walk away to load the dishwasher, or run an errand, or work in the yard, and words, sentences, ideas, or stuff that needed to be edited would come to me out of the blue. I learned to keep a pencil and paper handy to jot things down because if I didn’t, in a flash like fireworks, it would disappear into thin air. But the point is, the more I wrote, the more the writing wrote itself. The other thing I realized was that I shouldn’t censor my writing during the first draft. If I stopped to edit while I wrote rather than letting the words flow, the writing sounded staccato. I learned to just write, write, and write, let it sit at least overnight, and then do a read-through and rough edit the next day. Plenty of time later to spend hours, after painful hours polishing each sentence, reordering paragraphs, and filling in missing details. Or, maybe slashing whole paragraphs. As I mentioned in the first post, my writing journey began 30 years ago when my husband told me I was a good writer and that I should write the next “Great American Novel.” As with all writing, one must have an idea about what to write about, and I had no clue. “Give me a storyline, and I’ll run with it” I said, but he was as lost for an idea as I was. For 28 years he would give me an occasional nudge about writing a book and I would give him a noncommittal shrug. I can close my eyes and see the place where eight years ago, a kernel of an idea for a book hit me. It wasn’t “Great” and it wasn’t enough of an idea for a “Novel,” so the only thing going for me at that point was it was “American.” The idea simmered somewhere in the dark recesses of my brain for six or more years, without one word committed to paper. Somewhere along the way I was moved to write two short pieces . . . one about my husband’s love affair . . . with his bike, and the other about my 90-year-old uncle whom I adore. Both pieces, essays if you will, wrote themselves and it felt the sentences were formed even before I sat at the computer. I wrote them for myself, but had a pleasant surprise when they were well-received by people (including non-family members) who read them. Several people insisted I should submit the cycling piece for publication in a magazine. Nothing emboldens a writer like a little praise! I happened to be alone at our cabin near Lake Tahoe and I said out loud to the forest, “I wonder what would happen if I take my kernel of an idea for a book and start typing?” What happened was I stayed up until the wee hours of the morning writing like a fiend. This was an unusual thing as I start looking at my watch at 9:00 to see if it time for bed. The process was invigorating. I spent the rest of my time at the cabin with cramped shoulders and a knot in my neck from hours at the computer. I loved every minute of it. But alas, I had to go home, set aside the writing, and lost all motivation. On occasion, I would re-read what I had written and tinker with it, but my writing motivation had stagnated. That is, until I was back at the cabin with a chunk of time alone with my novel and computer. They made for strange bedfellows as they would keep me awake way past my bedtime, but the “novel idea” came to life and I couldn’t set her aside. Over the next year or so, the “kernel” transformed into a 260+ page manuscript and gave me license to call myself a novelist. Whoa. The point of this post is that every book begins with an idea and then dogged determination to finish it. Wresting your story in its clearest voice out of thousands of words takes work. I learned many things in the process of writing my novel. I will be sharing those gems with you in future posts, but let me end this one with . . . If you have an idea for a book, no one is going to get it written but you, so what are you waiting for? And if you are going to write a book, it is best to set aside large blocks of time where you can write with passion and keep your momentum at red-line. I did my best writing while I tuned out the rest of the world to focus on my characters and waited for more elements of the story to hit me upside the head. Learn as much as you can about self-editing to make your writing the best it can be before you show it to anyone. Taking the quantum leap of loving your words to handing them to someone to read (aka judge) is scary stuff. It is akin to baring your breasts to the world and wondering if the world is going to scoff. If your breasts aren’t your best feature, maybe you should show them your legs instead. After all, you have worked hard to get them in shape by all that time at the gym, right? Give your writing rigorous exercise before you flaunt it. I love words. To be more specific, I love the emotions words can evoke when strung together well. While I have been an avid reader my whole life, I am still taken by surprise when words move me to tears,cause me to laugh out loud, or incite anger. Imagine my even greater surprise when my own writing made me cry. I was minding my own business and going about editing my yet-to-be published novel. I had been away from the book for a while to create “mental distance” from it so I could attempt to look at it with a fresh eye. With red pen in hand, I was correcting typos, tightening sentences, culling out cliches, and searching for a different word to describe “delicious food” (not an easy task I might add.) One of my sentences stopped me . . . with head bent over paper, big tears plopped down and made the red ink edit marks run. I think that was the moment I thought my book might be worth more than the paper it was written on. My book is In Search of Beef Stroganoff. This blog will be dedicated to the journey that started with my husband telling me for 30 years that I should write a book, to where I am today with a finished (well, almost finished) novel. Don’t worry, I won’t bore you with the details of the 28 years where I didn’t write anything beyond thank you notes and documents for work. What I will share are the lessons I learned, random musings about the process of writing, where I found good information for writers, and what I learn while figuring out how the hell I am going to get my book published. The first lesson I learned is that once you have a solid idea for a book, the writing part is really fun. The not-so-fun part is the editing. No, I take that back. It is fun to take an okay sentence, rework it, and then revel in the sense of accomplishment when it becomes a great sentence. It is exhilerating is when someone else reads the sentence and thinks it is great too. Now that is a writer’s version of shot of vitamin B-12. Like an addict, a writer craves positive feedback and the only way to get it is by making the writing as strong as it can be. Unfortunately, that means also hearing negative feedback and not taking it like a knife to the heart. So . . . the search begins for me to find a way to publish In Search of Beef Stroganoff. Hop in. I could use the company.